She’s been mine from the second I saw her. Tonight, I’ll make sure everyone knows that. The tabloids call me “Prince Magnum,” and it’s not because I’ve got a big kingdom. A royal “suitor’s ball”, full of single, untouched female royalty, should be a buffet for a man like me. It doesn’t matter what a woman’s bloodline is - once I’ve set my sights on her, she’ll be on her knees in minutes. But that’s before I walk in and lock eyes with her. Princess Imogen. And Imogen will be mine. A “suitor’s ball” to find her a husband, huh? She’s been mine and only mine since the minute I laid eyes on her. And tonight, I’m going to make this princess my queen. 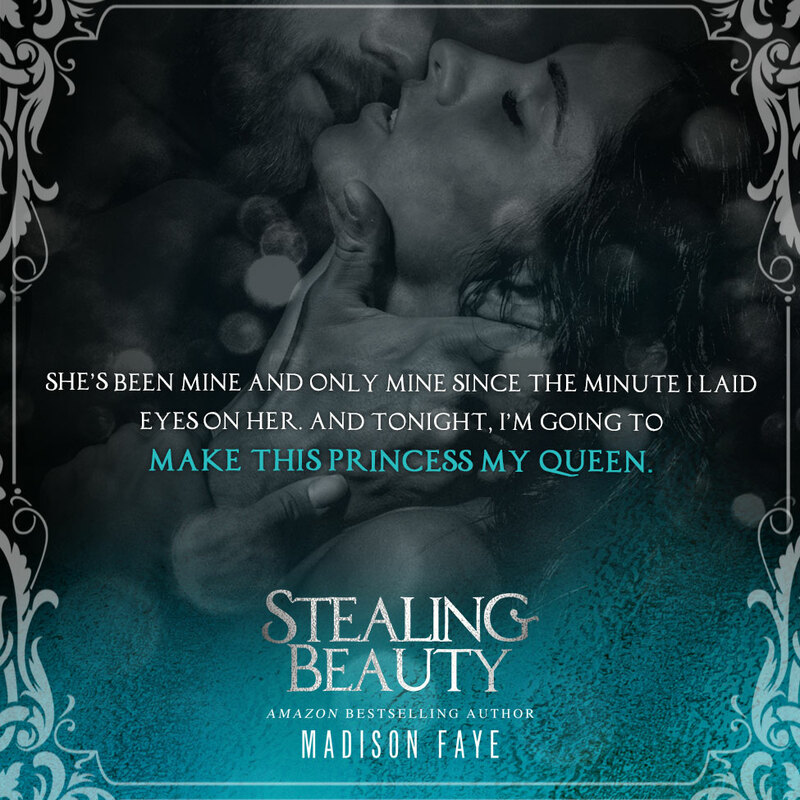 Stealing Beauty is a quick and filthy modern fairytale involving an utterly obsessed alpha hero and enough insta-love, kindle-melting steam, and sugary-sweetness to make your dreams come true. If you love over-the-top, slightly unrealistic, and wildly dirty stories, this one’s for you! HEA with NO CHEATING!